FINALLY! I’ve been very disappointed in autosomal DNA testing…that is, until this month. Ninety-eight percent of the “matches” have been so distant, or have not had enough work done on their family trees, that there has been no way to know how we connect, if, in fact, we do at all. Until now, the only benefit to the testing was confirming that I did not show any Native American heritage. A bit of background – my grandmother, in her younger years, stated her father was Welsh, born in Wisconsin. She documented this in my mother’s baby book. However, as she got older, her recall of her father’s heritage changed. She said her grandfather had married a Native American, and her father was the result. When I pointed to the records I’d found that didn’t support this, she said that her grandfather must have brought home this Native American baby to raise, having had an “affair” with the Native American. She claimed a family conspiracy to cover up her father’s true heritage. However, I could not find one trace of this in any records. Everything pointed to the fact that her father was the youngest son of George Simpson and Achsa Sisco. I learned to keep this to myself, as my grandmother’s identity was wrapped up in her perceived Indian heritage. Despite the genetic ancestry shown by both the FamilyTreeDNA as well as Ancestry.com tests, I still had lingering doubts…was there ANY possibility that my grandmother’s thoughts were correct? She was right on with every other detail she’d provided me on her family, as well as that of her first husband’s family, so I was perplexed by the Native American story. While it seemed highly unlikely that it was true, I was relieved yesterday when I received the DNA match pictured above from Ancestry.com, showing my match to another descendant of William Sisco and Abigail Rand. 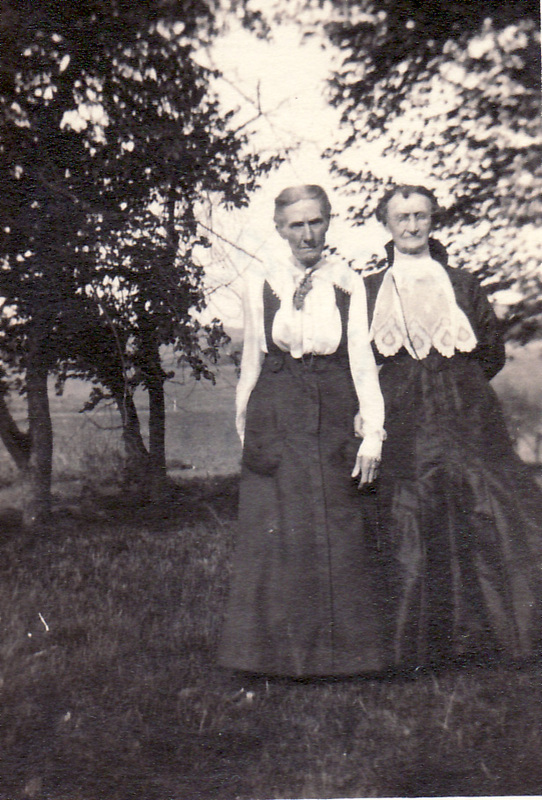 Achsa (Sisco) Simpson on the left with daughter Susan (Simpson) Locke, c1900. 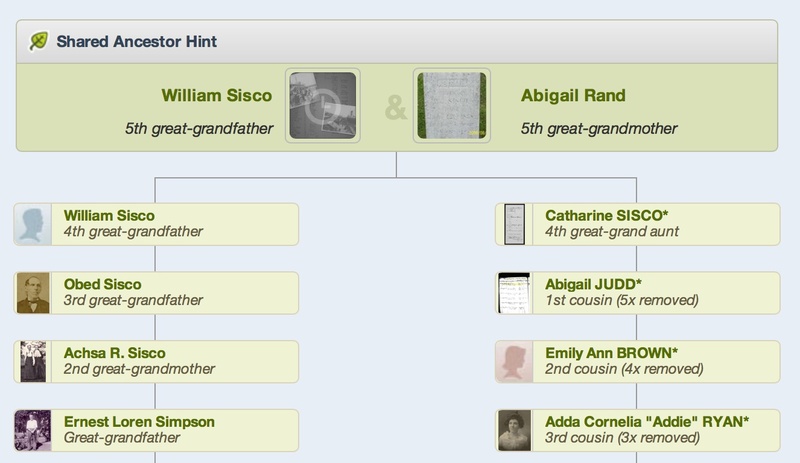 Achsa (Sisco) Simpson was definitely my great-great grandmother, and therefore, her great grandfather, William Sisco, is definitely my revolutionary war ancestor! This entry was posted on Saturday, June 15th, 2013 at 8:38 AM	and posted in DNA. You can follow any responses to this entry through the RSS 2.0 feed.